Sign up for Truck Bucks Rewards and save today on the parts you need through one of the industry’s largest retail distribution networks. Truck Bucks lets you save on parts and service at participating Freightliner, Western Star, Thomas Built Buses and Detroit locations. 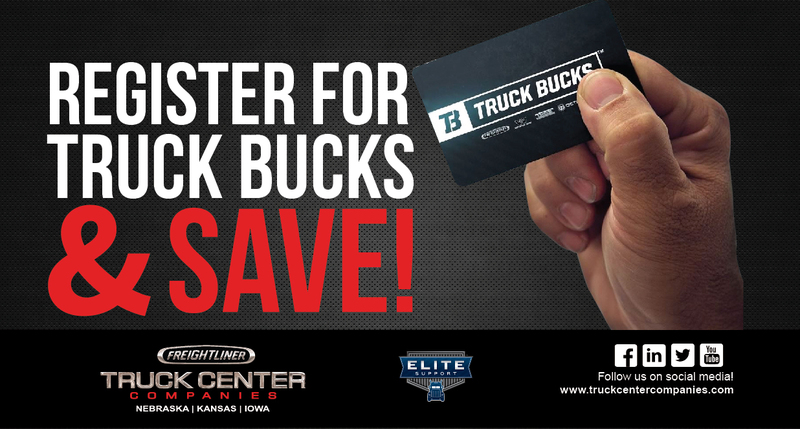 Apply online now at www.mytruckbucks.com or stop into your local Truck Center Companies for assistance. As always we're happy to help!